The Aviators Series Preview IS HERE! 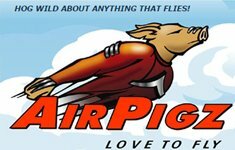 The producers of The Aviators, the new television series that has been creating a buzz in North American aviation, have officially released the first preview of the show on their website at www.TheAviators.TV. The preview features footage obtained at EAA's AirVenture including the A380 as well as a segment on Icon Aircraft's A5. 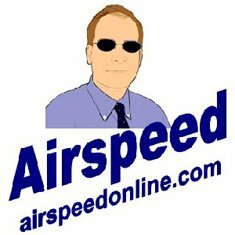 "We get emails every single day from members of the aviation community thanking us for putting The Aviators together," said the show's Executive Producer Anthony Nalli, "and that doesn't count the flood of emails and calls we've received from people interested in telling their story or showcasing their products, services, or destinations." Additional previews for The Aviators will be posted on www.TheAviators.TV every month or so leading up to the premiere. List subscribers will be alerted to new releases. When will YOUR PBS Station Run The Aviators? The production team has accelerated their schedule and the show will now make its U.S.premiere 3 months sooner than expected. It will be distributed by Albuquerque's KNME Westlink to all 320 PBS stations in June of 2010 and will air in Canada and internationally shortly thereafter. To make sure YOUR station runs The Aviators when it becomes available, use the PBS Station Finder and tell your local PBS station YOU WANT THE AVIATORS! 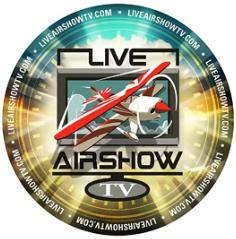 "The demand and anticipation for the show has been growing at such and incredible pace that we decided to really roll up our sleeves and work to get the show out sooner than the original September date," said John Lovelace, long time aviation television producer and creator of The Aviators. Tell your friends, share the videos, post notes at your club, airport, or office (you can download a booklet or poster FREE here). Randolph AFB, Texas– The Disabled American Veterans will once again take to the skies to advance its message of service to disabled veterans. Now, in its seventh season, the DAV Airshow Outreach Program featuring the B-25 Mitchell Bomber of World War II notoriety appears nationwide at over 25 airshows and reaches over 2.7 million airshow spectators annually in an effort to promote the DAV’s mission of building better lives for America’s disabled veterans. The DAV is proud to announce The DAV Flight Team will be making an appearance at the upcoming Randolph AFB Air Show – Forging the Future on November 7-8, 2009. “When people both young and old, see the B-25, they are just in awe. While the plane is on display, they get to see the extreme conditions and how tight the quarters were for these boys who flew these into combat and became men. When they see it side by side with other aircraft, they are amazed that just 67 years ago, this was the pinnacle of aviation technology,” said DAV National Commander, Roberto Barrera. Plan now to attend the Randolph AFB Air Show – Forging the Future on November 7-8, 2009 to see the B-25 and the accompanying interactive display geared at providing airshow spectators an attractive, efficient experience where they can learn about the volunteer opportunities available. RANDOLPH AIR FORCE BASE, Texas — Partnering with the San Antonio community for Celebrate America's Military week, Team Randolph opens its gates to the public Nov. 7-8 for the 2009. [photo] It's the same plane that flew at the Capitol air show. Very tragic accident. Prayers are with the missing crew. The Ninety-Nines was founded in 1929 and named for the group's first 99 charter members. Its first president was aviatrix Amelia Earhart. I don't know if this has been posted here before or not. An awesome article written by Scotty Germain about the crew's monumental efforts to get the Ghost to Reno 2009. A great read! And this gives just a slight idea of what was accomplished by this team! Amazing job! Looking forward to seeing the Ghost in 2010! BEIJING, Oct. 30 (Xinhua) -- Chinese military archivists have identified more than 100 documents that could lead to the repatriation of the remains of the United States personnel who disappeared during and after the Korean War (1950-1953). More than 50,000 U.S. personnel were killed in Korean Peninsula and along the border of China and the Democratic People's Republic of Korea (DPRK). The U.S. Department of Defense still lists more than 8,100 as missing. China's People's Liberation Army (PLA) Archives Department has been combing more than 1.5 million archives of the then People's Volunteer Army (PVA), the Central Military Commission (CMC) and the PLA headquarters during the Korean War. After high-altitude reconnaissance flights over Cuba in October 1962, Maj. Rudolf Anderson returned with pictures of ballistic missile sites and nuclear storage facilities under construction. President John F. Kennedy addressed the nation Oct. 22 and six tense days followed. While negotiations between the two superpowers were still under way, Major Anderson attempted another reconnaissance run and his U-2 was shot down and he was killed. Because of the classified nature of his work, Major Anderson belonged to a select group of unheralded and unrecognized reconnaissance pilots. By personal direction of the president, Major Anderson was posthumously awarded the first Air Force Cross. At the time, the Bronze Star was the highest combat decoration that could be made for Cold War action. He was also posthumously awarded the Purple Heart and the Cheney Award. An airplane boneyard is a term used for storage areas where airplanes that are retired from service are kept. Airplanes that are stored in a boneyard can someday return to service or they are stripped of useful parts while everything else is turned into scrap metal. Most airplane boneyards are found in deserts which are good locations due to the dry conditions that reduce corrosion. ... Two popular airplane boneyards in the U.S. are Mojave Airport in California and AMARC (US Air Force Aerospace Maintenance and Regeneration Center) which is located on the grounds of Davis Monthan Air Force Base in Tucson, Arizona. It is not surprising, but it is dispiriting, to realize how little the general public knows (or cares?) about space exploration. We seem to take for granted, that America is the leader in human spaceflight. Will it always be so? Hypoxia Temporarily Incapacitated Pilot When the pilot of a small plane reported an oxygen problem over Ohio last week and asked to "lose some altitude," Ron Lewis, an air traffic controller at Indianapolis Center, responded immediately. He told the pilot to descend to 17,000 feet from 23,000 feet, and asked him what altitude he wanted. Connect with the museum via social media. Become a fan of the museum on Facebook, follow us on Twitter or post photos from your visit on Flickr. You may also customize your own museum tour by exploring the Museum Tour Podcast or receive the latest news by subscribing to an RSS feed. Maj. Nicole Malachowski will present "America's Women Military Aviators: From WASP, to Thunderbirds, to the Future" at 7:30 p.m. on Nov. 17 in the Carney Auditorium, as part of the museum's Wings & Things Guest Lecture Series. Click here to learn more about Maj. Malachowski. In honor of Veterans Day, the U.S. Air Force Band of Flight will present "War in Remembrance" on Nov. 6 and 7 at 7:30 p.m. The program will incorporate band works representing wars from Biblical times to modern day. No tickets are necessary, but seating is limited to the first 1,200 in attendance on both nights. More information is available here. This year's holiday concerts will take place Dec. 19 and 20 at 7:30 p.m. in the Modern Flight Gallery. The U.S. Air Force Band of Flight will partner with the Dayton Philharmonic Orchestra to present joyful seasonal music. Due to the overwhelming popularity of these concerts, tickets will be required. Beginning at 9 a.m. on Nov. 17, the free tickets will issued on a first come, first served basis. Watch the museum's Web site for more detailed information. Commemorate the anniversary of the greatest engineering feat in modern history, the International Space Station, during Family Day from 10 a.m. until 3 p.m. on Nov. 21. Many activities will focus on space, including an opportunity to build your own space station from recycled materials. Visit the Family Day Web page for further information. A new program invites people traveling to Dayton, Ohio, to experience the "Birthplace of Aviation" by visiting several of the aviation sites in the area. Those interested in taking part in the program can pick up a passport brochure at participating locations, including the National Museum of the U.S. Air Force, and take it to be stamped at the various aviation sites. If you visit at least six of the nine sites, you can return the brochure to Wright-Dunbar Interpretive Center in downtown Dayton in order to receive a free "Wilbear Wright" aviator teddy bear (while supplies last). Click here for further information. The Boeing X-45A served as a scaled-down, advanced technology demonstrator for a project conducted by the Defense Advanced Research Project Agency (DARPA) and the U.S. Air Force. The goal was to demonstrate the technologies needed to conduct suppression of enemy air defenses (SEAD) missions with Unmanned Combat Air Vehicles (UCAV). The museum has one of only two X-45s on display in the Cold War Gallery. Click here to learn more. On Nov. 8, 2000, Boeing's first X-45A (No. 1) Unmanned Combat Air Vehicle (UCAV), called "Blue," arrived at Edwards AFB aboard a C-17 transport, where the Dryden Flight Research Center would test the X-45 for the SEAD (Suppression of Enemy Air Defenses) mission. The X-45 was a joint Air Force/DARPA/Boeing project. On Nov. 22, 2002, the second X-45A UCAV, nicknamed "Red," successfully achieved all objectives in its first flight, a 30-minute sortie above Edwards AFB. On Nov. 4, 2003, NASA's Dryden Flight Research Center at Edwards AFB began Block 2 testing on the two Boeing X-45A UCAVs. This program added communications links for flight coordination from other locations, and the ability to release inert small "smart" bombs. Collings Foundation needs YOUR HELP!